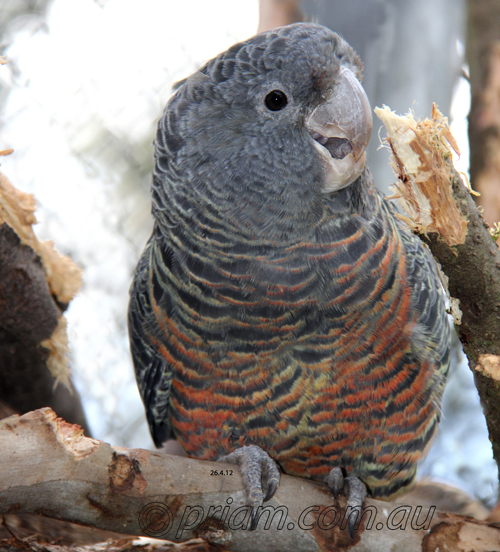 Tags: Australasian Parrots, Australian Parrots. 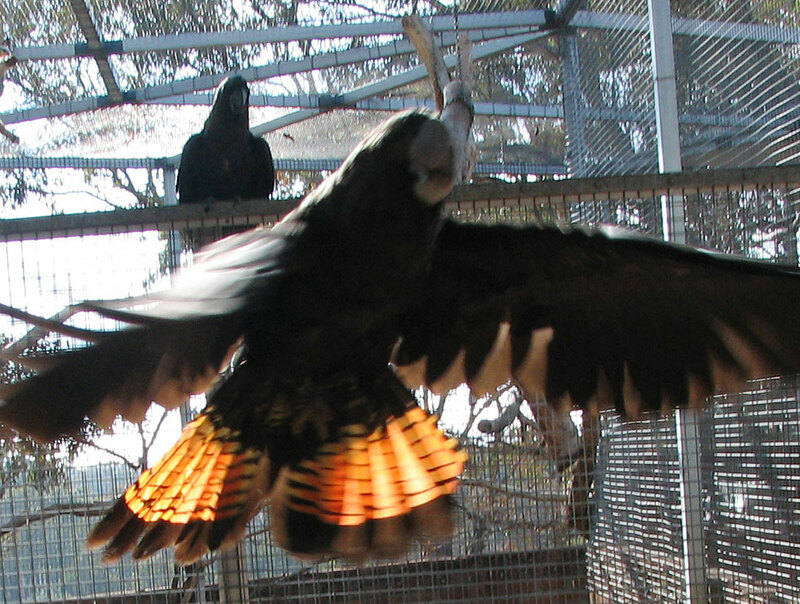 This species has a large range, and there is some evidence of population increase. 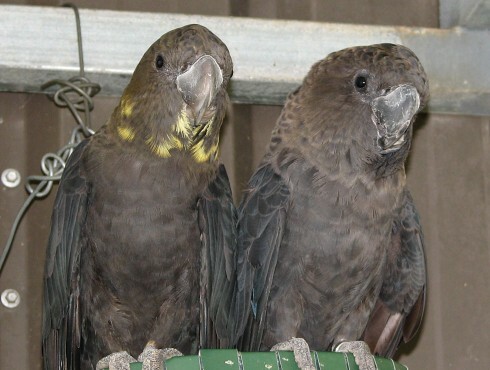 This species has a very large range, and despite the fact that the population trend appears to be decreasing, the decline is not believed to be sufficiently rapid to approach the thresholds for Vulnerable under the population trend criterion (>30% decline over ten years or three generations). 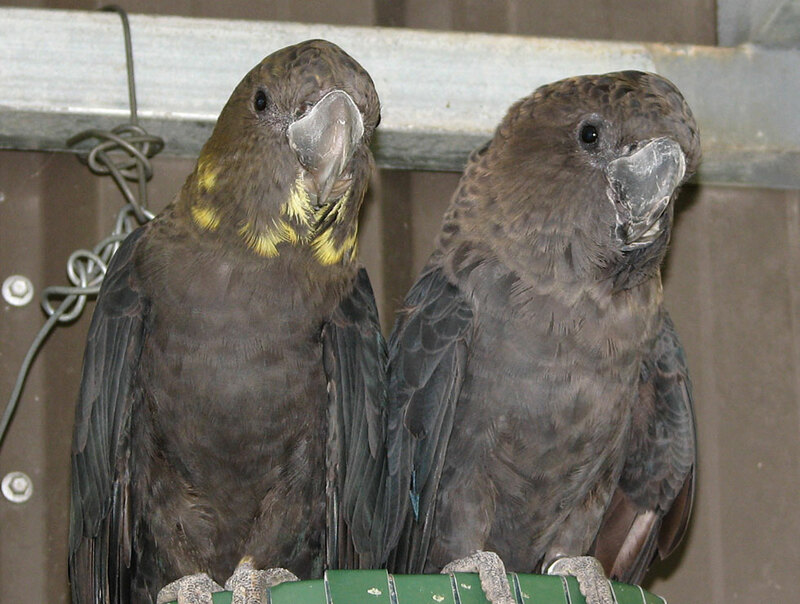 There are three poorly differentiated subspecies: Subspecies erebus is found in east-central Queensland. It may number c.5,000 birds, and range and abundance are probably increasing. Subspecies lathami has a patchy distribution in Queensland, Victoria, and King Island, Bass Strait. 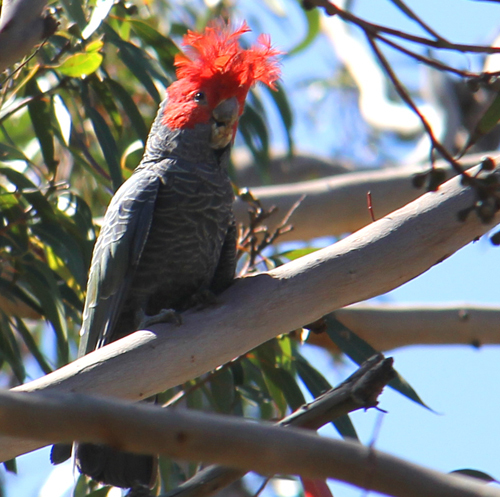 Its population of c.12,000 individuals is declining very slowly, and its range is contracting though its extent of occurrence is stable. 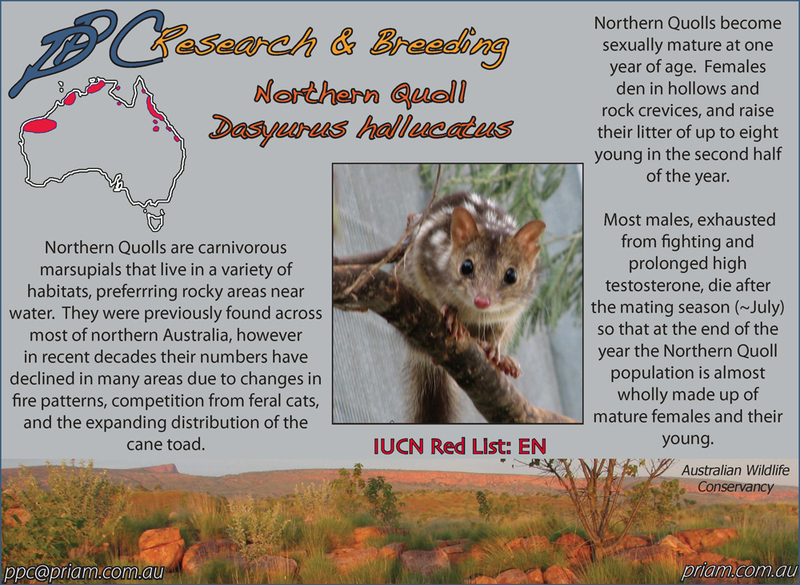 Subspecies halmaturinus is now restricted to Kangaroo Island and numbers 70 breeding pairs. 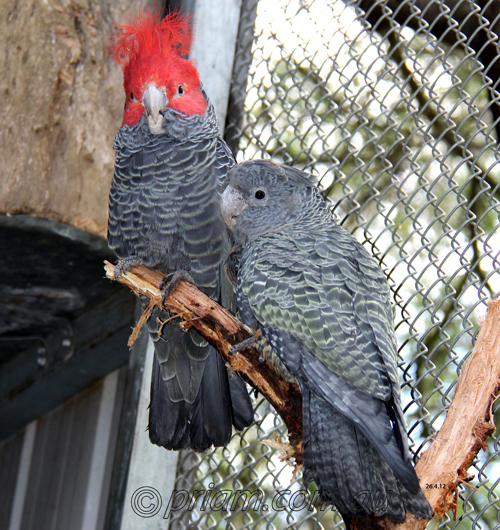 It is increasing due to conservation management. 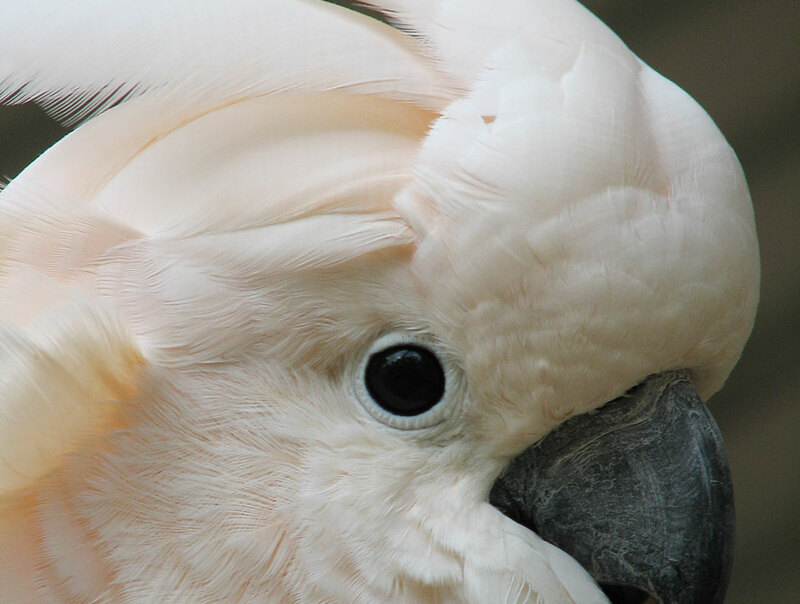 This species has an extremely large range and the population trend appears to be stable. 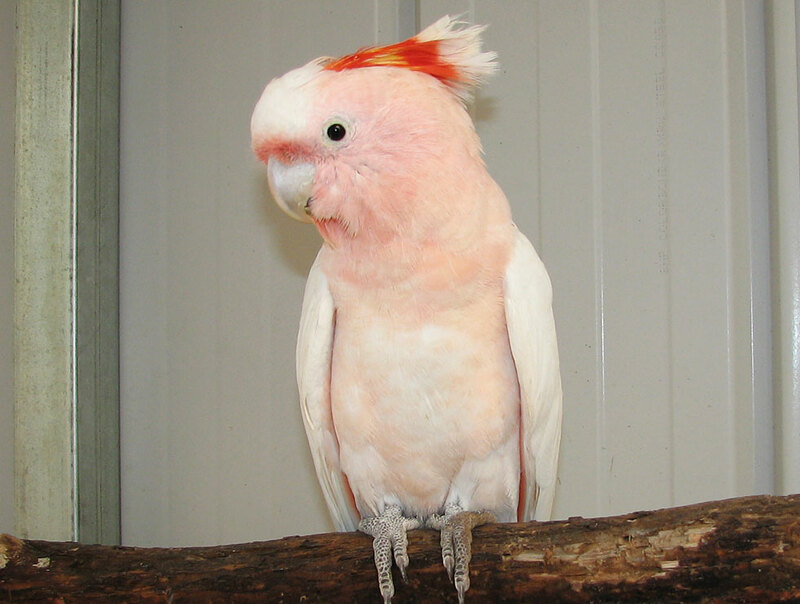 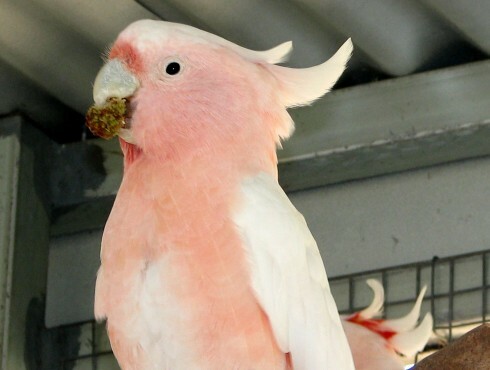 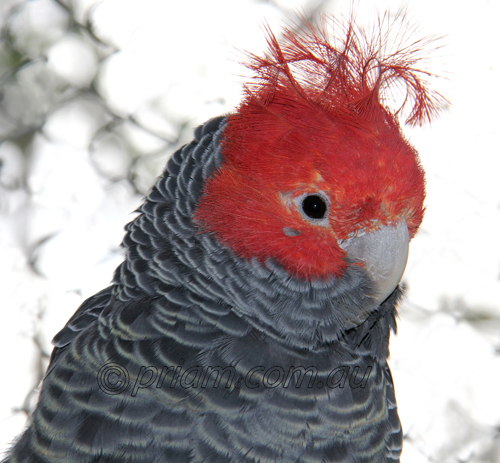 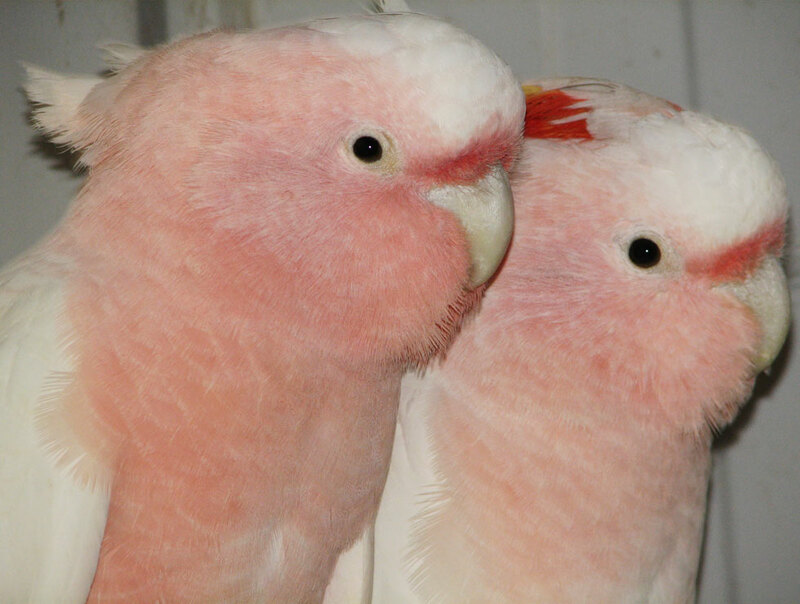 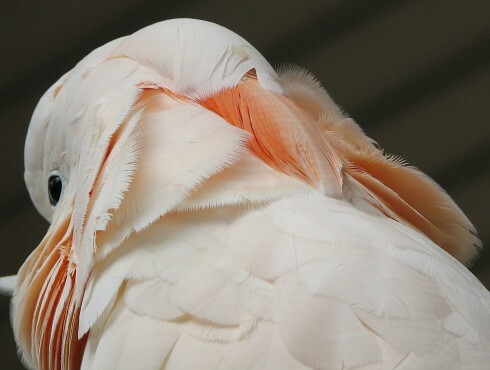 Also known as the Salmon-crested Cockatoo, this cockatoo qualifies as Vulnerable because, like other island cockatoos, it is a very popular cagebird and has suffered a rapid population decline as a result of trapping for trade, combined with deforestation in its small range. 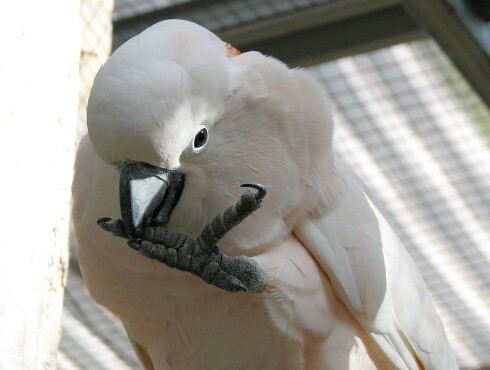 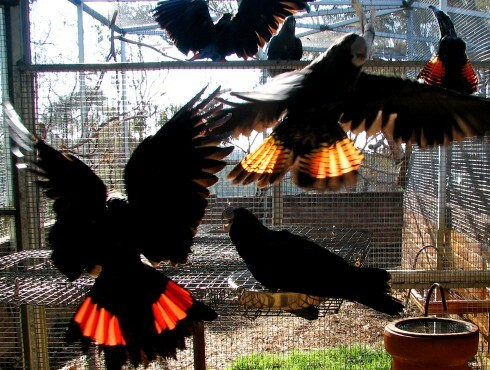 By the 1980s the species was being extensively and unsustainably trapped for the cage-bird market, with an estimated 74,509 individuals exported from Indonesia between 1981 and 1990. Moreover, this decline is projected to continue and perhaps accelerate. 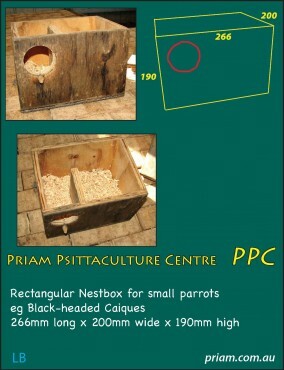 Rectangular nestbox for small parrots. 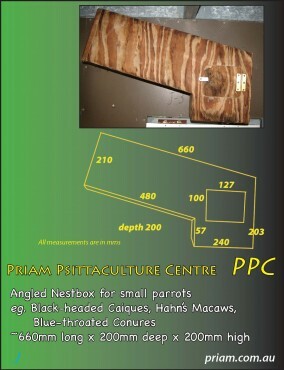 Angled nestbox for small parrots. 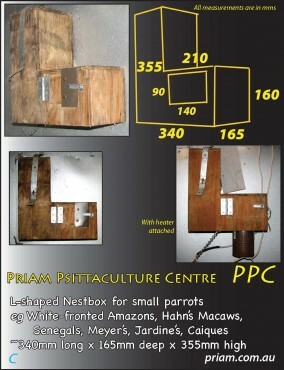 L-shaped nestbox for small parrots. 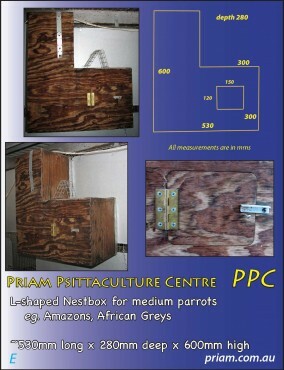 L-shaped nestbox for medium parrots. 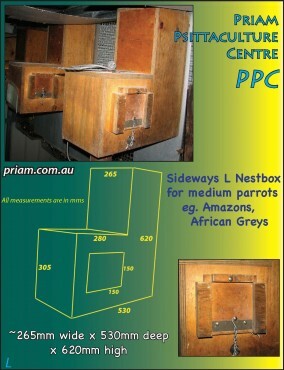 L-shaped nestbox for medium parrots -'sideways'. 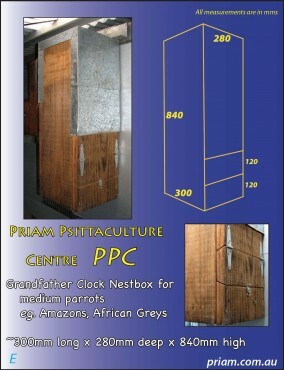 'Grandfather clock' nestbox for medium parrots. 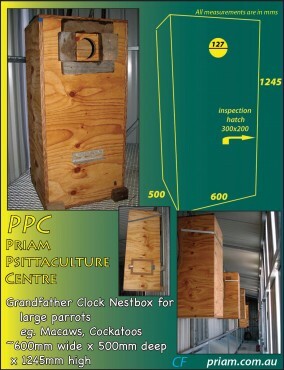 'Grandfather Clock' nestbox for large parrots.